Have you found yourself thinking about getting back into the dating scene after a previously failed relationship? Or maybe you are just starting to try your luck at courting and not sure where you fit in the whole process. 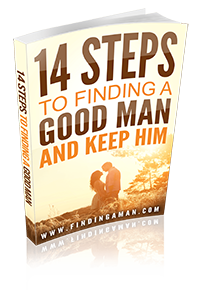 How to find a man isn’t as crucial as how to find a good man when first trying to screen through all the potential prospects you will be entertaining during your courtship adventures. Finding a good man begins with knowing, at least to some extent, what you want in a man. Don’t focus on the physical type, but rather the qualities that are the most important to you so that you can cater your search for love to where these men are more likely to be. Is it important for you to find a man who shares your faith? Then your place of worship, church socials, or single male friends of your like minded friends or family can be the key to finding a man that’s good for you. If an active lifestyle is important to you, then joining a running, skiing, or cycling group or club is a good start. We focus so much on a very specific type of guy that we’re overlooking some potentially great guys in the process just because he doesn’t look like the ideal that you’ve got in your mind. Who cares if a guy is tall, dark, and handsome if he’s also a liar, cheater, or jerk?? You’re not the only woman who has a picture of her dream man burned on her brain, but never straying from that type will limit the men you meet and could prevent you from finding someone wonderful. Be open to dating guys who might not be as tall/muscular/rich as your fantasy man. This doesn’t in any way mean settling for any guy that comes along, of course! It just means to keep an open mind and heart and be willing to give some other guys a chance to show you how great they are. Forget all the online dating horror stories you may have heard and give online dating a try. Though no one can guarantee that you won’t end up on a bad date or two, you can enjoy more good dates than bad by going about it the right way. For starters, stay away from sites or categories that don’t cater to the type of relationship you want. If you’re dating in hopes of finding a man for a long-term relationship, then choose sites geared at those looking for long term commitments and marriage rather than sites or categories for those who want something casual. The opposite, of course, is the way to go if you want something light and casual or want to find a man for just one night of passion. A smile makes you appear approachable, fun to be with, and confident, which will draw men to you. It’s such a little thing and something that too few people do these days, which is another reason why it works like a charm to help you find a man—because it’s such a welcome change from the usual scowl women have on their busy and stressed-out faces nowadays! When a man sees a woman smile it makes him feel good and makes her appear open for communication. It also quells the fear inside a man (even the confident ones) who worries about approaching a woman in case she rejects him so that he’s more likely to try. When women want to find a good man they put all kinds of effort into getting ready for a night out at a bar or club so that they can attract a guy. Well, a night out at a “meet market” isn’t the only place that eligible men hang out! Men are everywhere—literally! 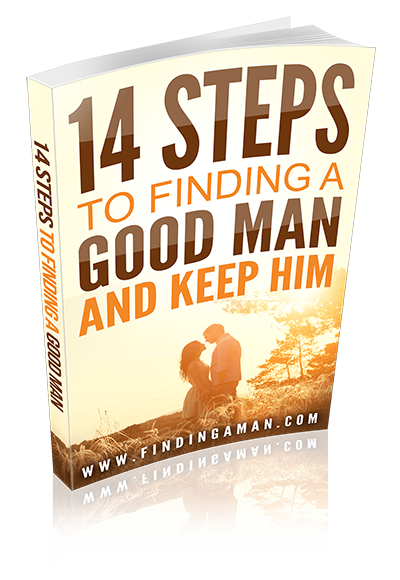 Want to know how to find a good man? Open your eyes and see that opportunities to meet men are everywhere, so the effort that you put into getting ready for social gatherings also needs to be put in anytime you head out the door if you want to find a great man. Walking the dog; popping into the corner store for milk, or even waiting at the doctor’s office could put you face-to-face with an eligible guy. Be ready to seize the opportunity no matter where it turns up! Flirting, even when very subtle, can bring potentially great guys to the forefront any and everywhere. A woman who knows how to get her flirt on is like a beacon for guys and it brings out a side of men that you don’t always get to see when you’re just talking to them normally and platonically. Now, don’t go flirting with every guy in sight or you’ll run the risk of a sexual harassment warning from human resources! But when you are talking to a guy, be sure to flirt at least a little. You’ll be amazed by what a good flirt-session can do for the way you see guys you might not have taken notice of or considered a prospect otherwise. Learning how to find a good man is as much about being open and approachable as it is knowing where to look. Men are everywhere, so when you’re open to meeting them and make the effort to be approachable, then finding them becomes a lot easier. Your attitude and ability to be easygoing will bring them out of the woodwork and draw them to you, along with the usual things that go into finding a great guy, like looking and smelling good. An understanding of what you truly want and need in a man helps to weed out some of the undesirables and keep you from wasting your time on men who don’t share the same values or who don’t want the same type of relationship. By the same token though, it’s important to know that limiting yourself one type of guy just because “you have a type” will be just that: limiting. Having an open mind invites new and unexpected guys into your life who could well surprise you and blow your usual type away. Open yourself up and you just might be pleasantly surprised at the man/men you find. Remember that the more men you meet and court the better your chances are of finding Mr. Right.